Today’s Airfare of the Day goes to Air France and their business class restricted round trip fares between London and Ho Chi Minh City. Today’s Airfare of the Day goes to Air France and their basic season premium economy excursion round trip fares between Taipei and Paris. 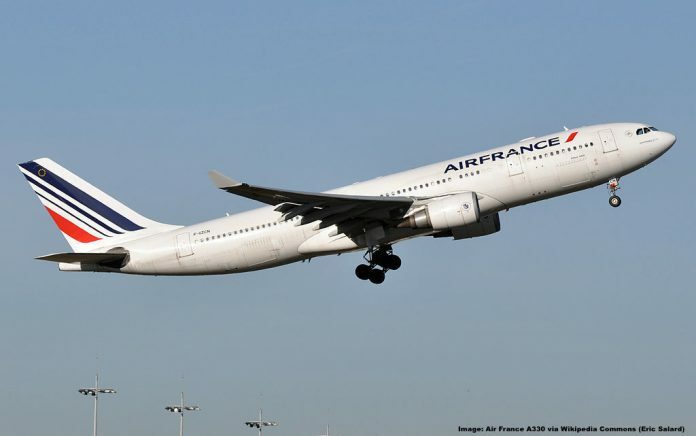 French pilot union SNPL which is representing pilots of many different airlines is considering labor action in the second week of May (May 6-11) which would inevitably impact travelers. The strike could affect all airlines operating in France, including the biggest one Air France or budget carriers such as EasyJet and Vueling. Today’s Airfare of the Day goes to Delta and their low/off-peak season midweek business class excursion round trip fares between Amsterdam and Los Angeles. This fare allows routing on KLM codeshares. Air France – KLM’s Flying Blue launched in March a 75% bonus miles sale that ends tomorrow (April 10, 2019). Air France-KLM Flying Blue has just released their April promotional awards for June 1 – July 31, 2019-travel. Today’s Airfare of the Day goes to KLM and their midweek business class excursion round trip fares between United Kingdom and the United States. American Express Membership Rewards has a new promotion available for their U.S. based members, offering a 25% bonus on Membership Rewards transfers to Air France-KLM Flying Blue. This promotion is showing up on my Platinum Charge Card / Amex EveryDay account and this time it also has an expiration date of April 29th, 2019 listed (many of the last transfer offers were targeted, not so this one). Today’s Airfare of the Day goes to Delta/Air France/KLM and their peak-of-peak season midweek business class excursion round trip fares between New York and the French Riviera. Air France – KLM’s Flying Blue has launched a new 75% bonus miles sale that is valid through April 10, 2019. Today’s Airfare of the Day goes to Air France and their business class restricted round trip fares between London and Hanoi. This fare allows for travel on Vietnam Airlines codeshares. Air France-KLM Flying Blue has just released their March promotional awards for May 1 – June 30, 2019-travel. The government of the Netherlands has just announced that the Dutch state takes a 12,6 % stake in the KLM/Airfrance holding, at a price tag of 680 Mio Euro to “protect Dutch interests”. The government just made their decision public which will initially cost taxpayers 680 Million Euro and is apparently undertaken as to keep influence in AirFrance/KLM – KLM still being the countries de facto flag carrier.